Speaker cables. 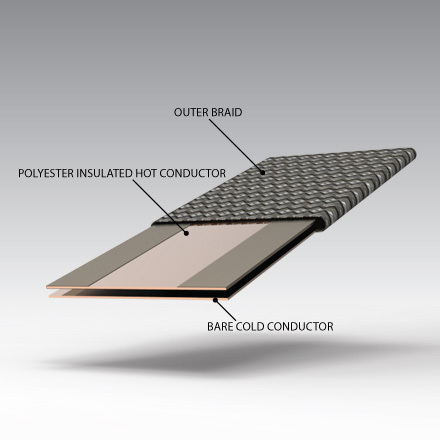 Enhanced™ Isolda Deep Cryogenic Treated (EDCT) copper. Inductance: 0.002uH. Capacitance: 3,100pF. Resistance: 8.4mohms. Leakage: 25Mohms. Impedance: 8ohms. From 5 to 6m. Pair. 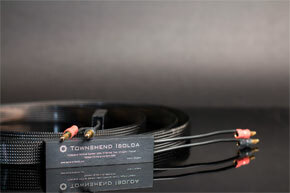 Townshend Audio DCT (Deep Cryogenically Threaded) Isolda Speaker cables have an enviable reputation as being the best cables you can buy. They are a natural and satisfying component for the discerning listener, neither adding or taking away anything to or from the sound, while never becoming fatiguing or irritating. They are just right! We even recommend the use of our Isolda speaker cables in un-equal lengths as the sound is virtually the same, regardless of length. 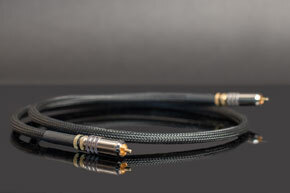 Townshend Isolda DCT Speaker Cable use very closely spaced insulated flat copper conductors in a polyester braid sheath. 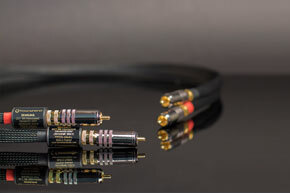 Unlike the majority of speaker cables this cable’s close spacing means it is virtually immune to RFI (radio frequency interference) and presents an impedance which closely matches that of the loudspeaker. The result is bass with a solidity and power that is truly seismic, accompanied with genuinely silent backgrounds and incredible 3D imaging. One astute audiophile remarked that utilising the Isolda speaker cable “ended his Alice-in-Wonderland experience with high-end cables” and he is now able to sit down, relax and listen to music.